Everything The O.C. : The O.C. 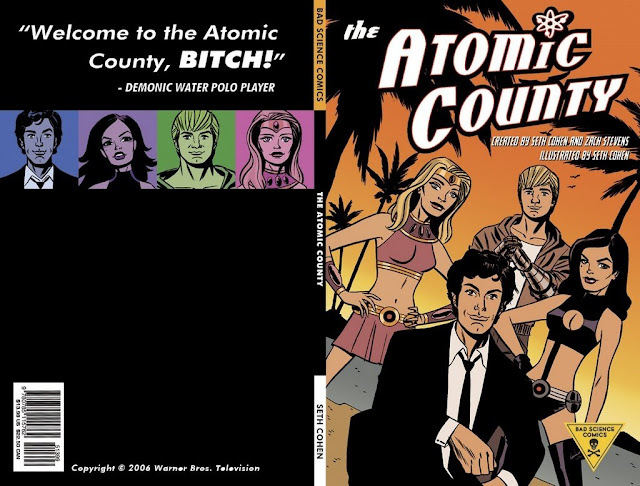 DIY: The Atomic County Comic Book! Have you wanted some O.C. props but just could't find any available or couldn't afford them on a bus boy Crab Shack salary? Fear not! This DIY will be enough to make even the most casual of fans to drool all over their penguin shirts. This simple do it yourself prop guide will make a great new edition to your ongoing O.C. shrine! Display it proudly, cover books with it, trick your friends! UPDATE 11/2018: We have located images and information from the actual "hero" Atomic County comic book prop that was actually screen used. The dimensions of the real comic is 10" x 6.75". So while mocking this up take note of that! Go here to see photos of the screen used Atomic County prop comic!